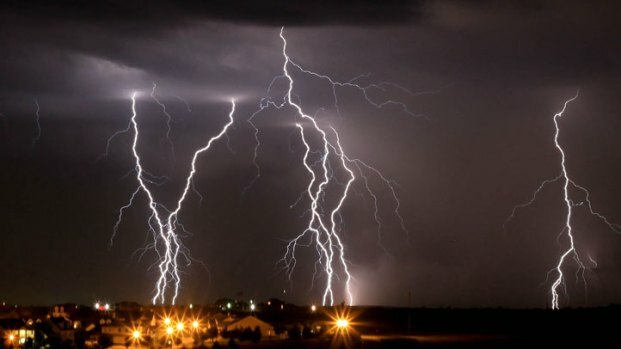 Severe storms that moved through the Metroplex Monday night and early Tuesday morning knocked out power to over 40,000 residents. Power has been restored to many areas, leaving roughly 16,000 without power at last check. Click here for the latest information on power outages from Oncor. Two people were hurt in the thunderstorms as strong winds ripped away roofs. Police in Decatur, 35 miles southwest of Fort Worth, say a motel guest was injured early Tuesday when sections of the roof blew off. Strong winds tore apart a storage unit in Denton County. Police Chief Rex Hoskins told The Associated Press that the woman at the Sunset Motel was struck by falling debris. Hoskins says the woman was taken to a hospital in Decatur, where she was treated and released. Wise County Fire Marshal Marc Dodd says the roof of a condominium complex blew off in Runaway Bay, leaving one man slightly hurt. Dodd says the injured man was treated at the scene. 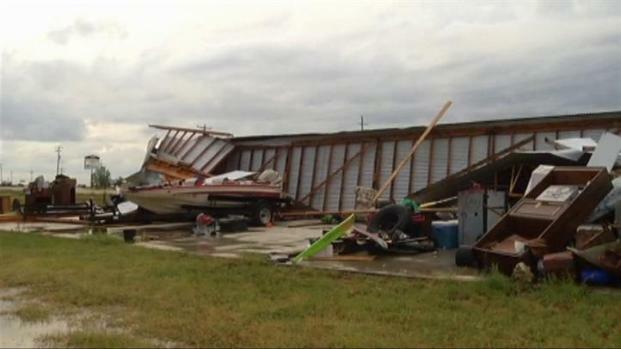 In Pilot Point, the intense winds destroyed a storage unit. The winds tore off the walls, sending them flying into the streets and most of the contents inside the unit were piled up and damaged. The Lantana community in Denton County took a beating Monday night and early Tuesday morning, homes were damaged by hail and high winds. Pilot Point Police Officer Neil Reynolds said he was out on the streets patrolling when the storm hit. He had to take cover in a nearby carwash. 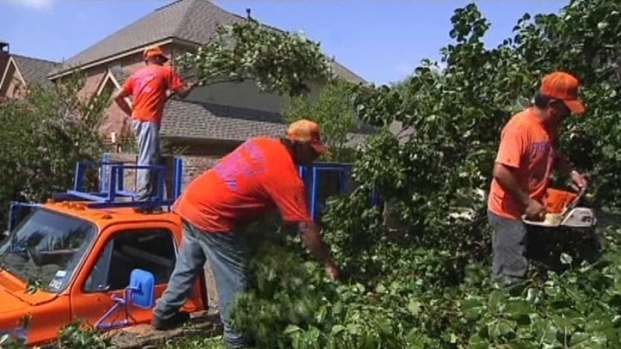 The strong storms also did damage to many other areas in North Texas. Small buildings and tree limbs were knocked down by gusts of wind reaching up to 62 miles an hour in some parts of the area. Up to golfball-sized hail was reported with the storms. Heavy rains gave a welcome relief to the exceedingly dry conditions, though some streets and small waterways overflowed after the deluge. Some rainfall totals through the Metroplex were over 3-inches, according to NBCDFW Meteorologists. For the latest forecast, severe weather alerts, and more, click here to visit our improved weather page.